On October 4th, come join us! 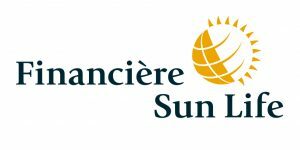 In honour of our 30th anniversary and as part of the fundraising event Une nuit dans la rue, we invite you to come and meet us on October 4th from 3 to 5:30 pm on Metcalfe Street in front of the Sun Life Financial building. Employees and volunteers will be present to welcome you and share with you the latest on our projects and programs for homeless and at-risk youth. For the occasion, a group of young musicians who have benefited from Dans la rue’s services will be performing live. You can also explore a photo display illustrating 30 years of Dans la rue’s history and success. Our Van, Dans la rue’s signature service, will also be on-site and open for visits, lead by the volunteers who run this important service nightly. Thursday, October 4th from 12:00 p.m. until 5:30 p.m.
To mark the organization’s 30th anniversary and pay tribute to its founder, Father Emmett Johns “Pops,” Dans la rue will present the 2nd edition of its overnight challenge event, Une nuit en la rue, on Thursday, October 4th, 2018 on Metcalfe St.
On this occasion, executive participants will take on the double challenge of raising funds and awareness in support of Dans la rue’s programs and services and sleeping one night outdoors in downtown Montreal. Much more than a fundraiser, this event, presented by Sun Life Financial and Ivanhoé Cambridge, aims to educate the corporate community about the problems faced by the young people we serve. The commitment of nearly 50 participants at the 2017 inaugural edition of Une nuit dans la rue raised more than $130,000 in support of Dans la rue’s programs and services. For more information or to register, contact us at 514-526-5222 ext. 224.